If there is one thing that FromSoftware’s latest pulls from the studio’s pedigree, it’s that Sekiro: Shadows Die Twice is a brutally difficult game (and a very good one). Soulsborne players may scoff at the difficulty, but will quickly find going into it that Sekiro is a much different game than either Dark Souls or Bloodborne. It’s a fantastic game, but players new and old alike will need to relearn strategies if they want to conquer even basic enemies, let alone the toughest foes that Sekiro has to throw at you. 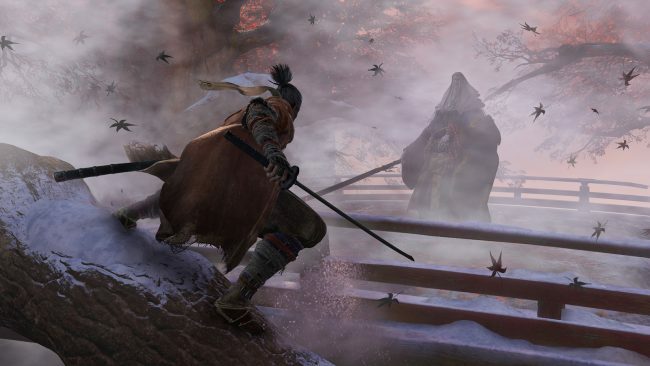 We’ve put together a spoiler-free Sekiro guide that should help you understand more about the nuances of exploration and combat. 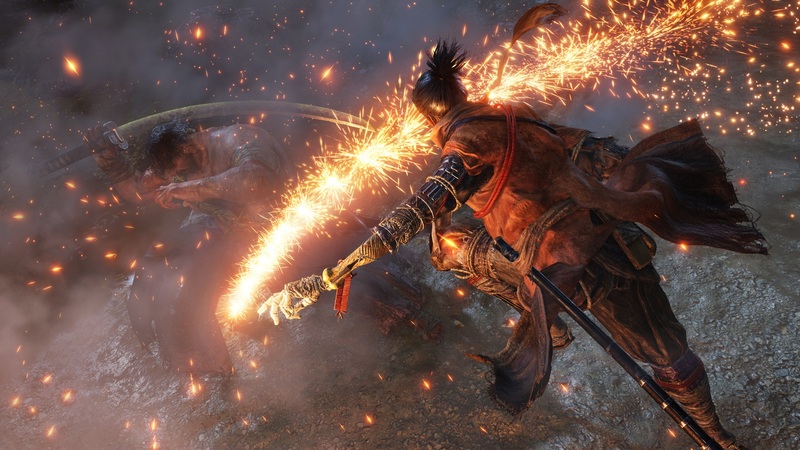 Here are a few Sekiro tips and tricks that we learned during our time clashing blades. Posture is a meter that, once full, allows you to perform a deathblow on an enemy. Vitality is a gauge that corresponds to how fast posture recovers. Lowered vitality means slower posture recovery, but you can still get a deathblow without dropping vitality all the way. Vitality can be damaged through direct unblocked attacks. Blocked attacks and deflects will increase the posture gauge. It will often take a mix of damaging the two meters to kill an enemy. Sekiro isn’t God of War or Devil May Cry 5. It’s not about going ham on an enemy with your sword, slashing them to ribbons. You may be a skilled Shinobi, but you are not a god, or Nero, or any other number of “badass” characters that can combo and tear through enemies like a hot knife through demon flesh. The One-Armed Wolf is pretty badass, but combat is a skilled and intimate endeavor. Respect it. Don’t treat it like a button mashing party. Button mashing both attacks and blocks has diminishing returns. One of the first skills you’ll want to get good at is deflecting enemy attacks. Dodging may be helpful in most games, but in Sekiro, it’s about breaking the enemy’s posture. Posture is damaged through attacking and deflecting. You can deflect by tapping L1 (Guard) the moment an attack is about to impact you. If you are just dodging around, the enemy’s posture will recover and you’ll be back to square one. Learn to keep constantly engaged while alternating between attacks and deflects, with the occasional dodge if you need to recoup and recover a bit. In most games, you want to stop attacking if an enemy is blocking your attacks, but in Sekiro, even attacking into blocks can have an effect on their posture. Combat is about clashing blades until you can perform a deathblow, but be careful. Again, this isn’t a hack and slash, and trying to mash the attack button will lead to them deflecting your attacks which will also affect your own posture. It’s all about finding that balance. At the cost of a few moments of vulnerability, you can use a thrust attack by holding R1 to break through the enemy’s guard and deal a bit of vitality damage. This is a nice move against enemies that are notorious blockers, but isn’t the only way to defeat them. It depends on your strategy of going for posture breaking versus vitality damage, and also how quick they are to attack in that opening. You shouldn’t be fighting multiple enemies at once if possible, but if you must, remember that landing a deathblow gives you a few free frames of invincibility during the animation. There’s a legitimate choice of whether to disengage or go for the kill, but sometimes landing that kill can be the saving grace and breath of fresh air you need. In the Dilapidated Temple, there is a warrior who can’t taste death called Hanbei the Undying. Use him to practice attacks, dodges, deflects, and other skills. While he won’t be an exact mirror of every enemy you’ll fight, he’s a great way to get your sense of timing and flow of combat down, as well as trying out new skills that you obtain without risk of losing skill experience and Sen. Even the most frightening and random seeming enemies have distinct patterns and specific attacks that can be learned. Learning these attacks can make a fight go from seeming impossible to being easily conquered. Going into a fight for the first time is going to be a scary thing, but over time, and after quite a few failures, you’ll start seeing the patterns emerge, which will reveal the cracks in their armor. Use these patterns to your advantage for attacks, blocks, deflects, and dodges, to whittle down vitality and break their posture. Read on to page two to find out how to not lose money or skill experience on death and ways to make a lot of the fights easier.